Franklin, TN – A Lewisburg woman remains in custody today after a weekend DUI crash. Franklin Police were summoned to I65 S near mile marker 68 at 12:52 am Sunday, for a reported crash. Arriving officers determined that 26-year-old Jessica Raines was impaired when she hit a concrete barrier along the Interstate. Raines was arrested, charged with DUI and Driving on a Revoked License, 3rd Offense. 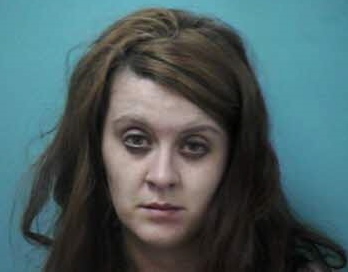 She is being held in the Williamson County Jail on an $8,500 bond. Her preliminary court appearance is currently scheduled for 04/24/2014 at 1:00 pm. According to the Governor’s Highway Safety Office, impaired driving related crashes constitute one of the nation’s leading health problems. Impairment is a factor in 33% of all crashes in the United States, and these events result in more deaths each year than all homicides.